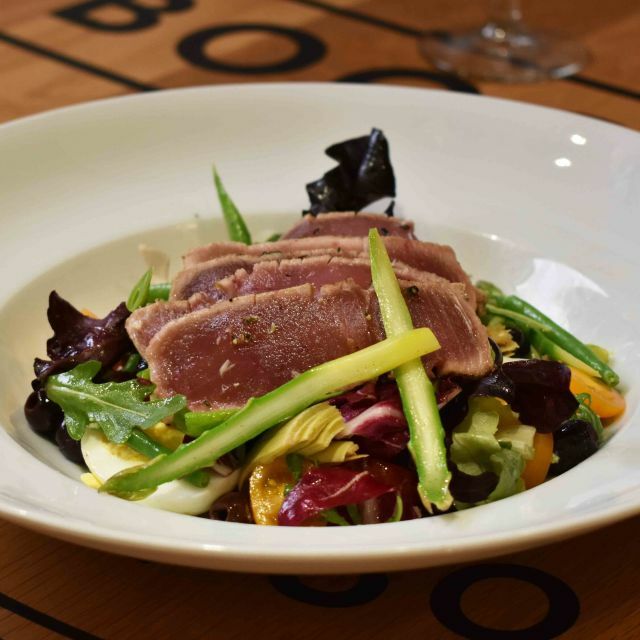 You must make reservations at least 5 minutes in advance of the time at Ristorante Boccaccio. room for 22 people or less - large parties will be arranged separately. Our versatile dining area is perfectly suited to host your events, small or large. 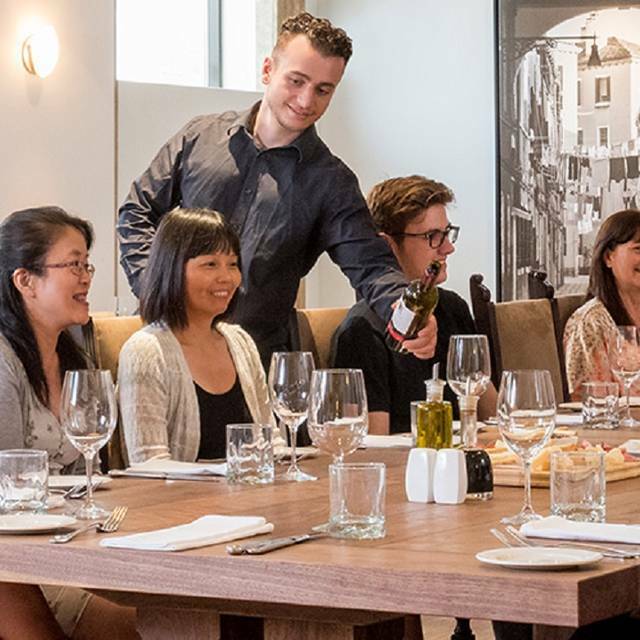 Whether it is an intimate dining experience for two, or a family gathering to celebrate life’s milestones, we take pleasure in ensuring that your experience with us extends beyond dining. For further information and reservations, please contact 416-789-5555 or use our online reservation below. Carnaroli rice, saron, sautéed shrimp, parmigiano cheese. We came to celebrate our friend’s birthday. First time there. Would highly recommend this restaurant. The food and service were incredible! Excellent meal and service. The wine list did not offer enough variety or price range. First time at Boccaccio's. We really enjoyed our meal. I already recommended to our friend and we would be back for sure. I'm going to be organizing our gathering with ex co-workers from now on. Our evening together was memorable and delicious. The ambiance was like an evening in an Italian bistro, enjoying the bronze artwork and the presentation of the tables and food. Everything was authentically superb. My friend and i experienced an overall good experience. However, one server was particularly rude to my friend upon bill. The service was VERY slow. We went for lunch and it took over 2 hours to complete our meal- we waited 45 minutes to get our appetizer after ordering. The appetizer and desserts were all quite small. The main course was ok. It was horrible but probably would not go back. Went for winterlicious lunch meal. The food and wine were very good. The serving staff friendly and polite. Unfortunately it took over two hours to get our meal. I'm not sure what the issue was. The food, when it arrived was hot and very tasty, however there is no reason for 3 course lunch to take 2 1/2 hours to be served. I might also add the restaurant was not full. Nice atmosphere but probably won't go back because of the excessively slow service. We were really looking forward to a lovely Winterlicious lunch. Unfortunately we were disappointed. from paid parking, with a machine that was not working, to delicious sounding salads that had little flavour, veal scaloppini that was tough, and barely lukewarm. Service was rather slow and not very friendly. Will not be visiting again. My boyfriend and I went for Winterlisious and it was fantastic. Amazing service and amazing food. Will return! Food is standard fare reflective of the menu prices. Restaurant wasn't too busy even though it was Winterlicious but it was hard to get our server's attention. We sat there for 15min after the hosted seated us without water or seeing our server. Restaurant setting is comfortable, but it can get loud and hard to hear what people at your table is saying. Great service and delicious food! Even when the dessert wasn’t completely up to par they were very helpful in switching it for us. We had a great time and a delicious meal! Went for winterlicious. ( lunch.) it was my daughter's birthday. Food was OK. Delicious salad and pizza appetizer. Veal,scalopini was passable, nothing interesting about it. Nothing spectacular. Was extremely disappointed with the dessert, a lemon cheesecake thing. Tasted awful, not fresh, defrosted and bought at Loblaws. We never finished it, one bite and that was enough. Do not feel like trying the place again. The waiter was great: friendly and polite. All in all it was really a good find. 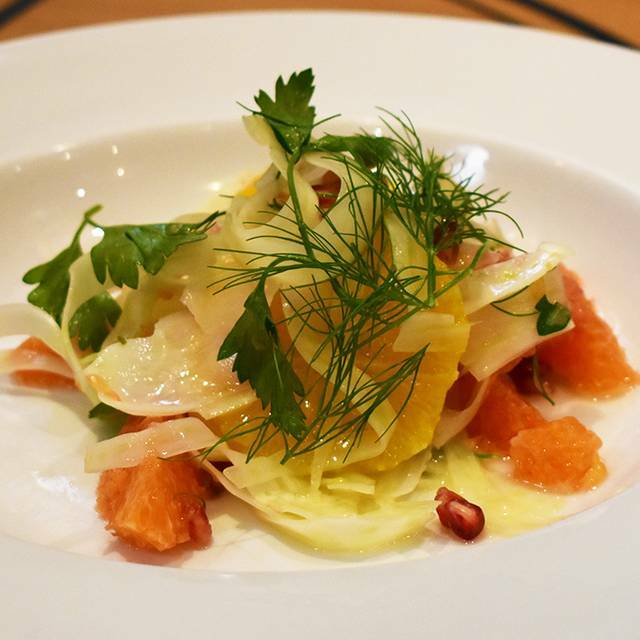 I wasnt a fan of the fennel salad but the entree was incredible! Had the lamb and it was a 10/10 in terms of taste and portions. I felt we could have been waited on a little bit more, but the restaurant was a great find and we will be back for sure. The price of the menu entrees was unbelievable. Impressive service and delicious food. Vittorio was attentive and professional as usual. Great improvement on the menu choices and food taste and presentation since our last visit. 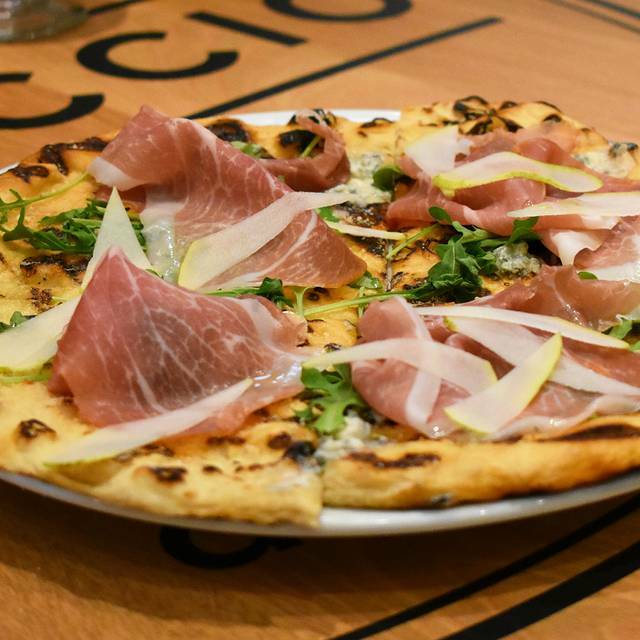 We shared the grilled pizza with prosciutto, pears and figs and the fennel salad for appetizers, ingredients were fresh and both were delicious. As a main I had the brodetto di pesce misto and my husband had the rabbit, both excellent! The portions are generous and the prices are very reasonable. Overall a great culinary experience and a great evening! Highly recommend this neighbourhood gem! You will not be disappointed! The food at Boccaccio Restaurant was excellent. The dishes were very tasty with an abundance of flavor. Unfortunately, the desert was a bit disappointing. I had the lemon cheesecake and I found it to be a bit dry. The service could have been a bit quicker, however, the staff was very accommodating and friendly. It would be great if they added pizza as a main dish to their menu. Overall, I would definitely recommend this restaurant. 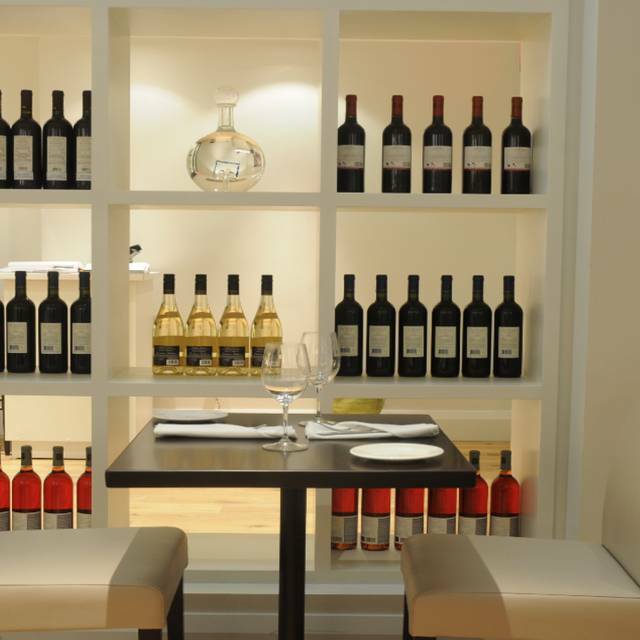 Amazing food and price for a great bottle of wine with appetizers and main course. Vittorio our server was great! The restaurant was so accommodating in allowing us to bring our own birthday cake(ice cream may I add). Great food and good prices. The place is decorated in modern white, it is quite classy. The place is not too busy and one may find it too open for a romantic dinner. Great place to meet up with friends and have a conversation with good food and byob at $20 a bottle. Roberto the head waiter very knowledgable and friendly. Food is very good but not out of the world. Reliable. Best meal I’ve had this year and I’ve probably eaten at 5 of the top 10 restaurants in Toronto. A wonderful, beautiful and comfortable setting for a meal with friends, or for couples and special occasions, and especially group functions. Attentive, respectful and friendly service. The food is wonderfully prepared and plated. Only weakness is the dessert options - more in-house creative ones would raise the quality level of this restaurant. It is a neighbourhood gem. Two friends joined me for lunch for our monthly get-together. This was such a wonderful discovery! We were all so pleased with our food selections. The service was wonderful - attentive, but not intrusive. We hope to visit again very soon. We also are intrigue by the theme nights listed on the website. 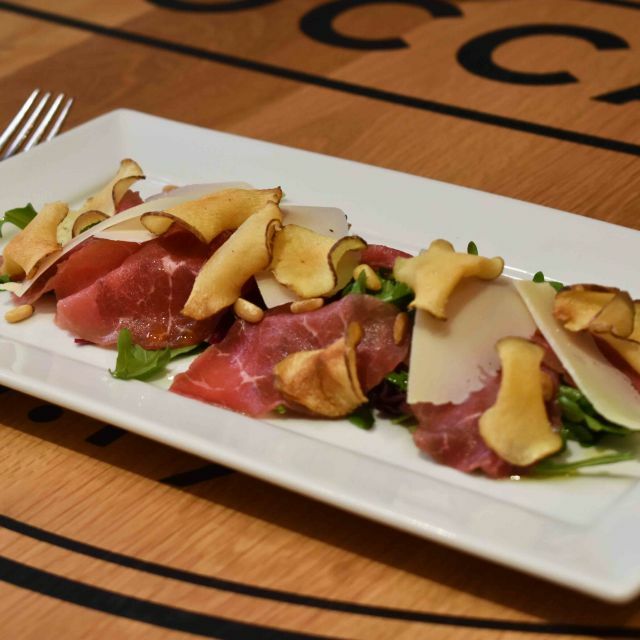 Boccaccio has been one of our favourite restaurants since we met - they have remained so since we got married. The quality of the food is only rivalled by the quality of their service. They made us feel like close friends or family rather than patrons. Thank you so much Boccaccio for a wonderful experience once again. Don't let the exterior building fool you as I did when I first reached the location. I thought I was at the wrong place and where is this supposedly fancy Italian restaurant. The restaurant was nicely decorated and certainly came across as an upscale diner. Their service was friendly and professional. I celebrated my wife's birthday there with a group of 11. It was a very wonderful experience. 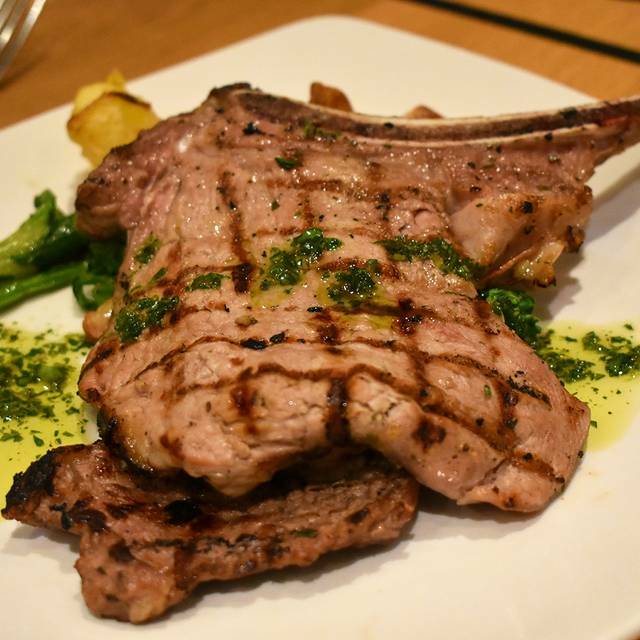 Food selection and quality both meet expectation of a nice Italian restaurant. I will definitely go back. Food quality was good, but portions were too small for $$....pasta was only 3 spoonfuls and meat possibly 4 forkfulls......inadequate in my opinion. I recently took a friend for her birthday and the staff was very attentive and professional. We spent several hours without feeling rushed. We appreciated the effort they made to put a candle on the delicious tiramisu and singing happy birthday. I was impressed that they did not bring the cheque until asked. Tremendous service and very good food; however, if you are staying downtown it is a 20 min cab ride in an Italian Community Center. In retrospect, it was worth the drive! We were there at the same time as a very large children's birthday dinner, they put up partititions which did help to mitigate the noise concerns. Although they were catering to two very large groups that night, we didn't feel that our service was disrupted at all. They also brought us a small glass of champagne, which was a lovely touch. Prices were good, my husband had the special gnocchi which was excellent. This restaurant is the classic Italian experience. Great ambiance, authentic food and friendly service. I would recommend this restaurant to anyone who is looking for a relaxed and calming dining atmosphere. The risotto and lobster pastas had very good flavor. The one negative comment was that these dishes were very salty. i have bin there many times and have brought first time customers that love it and refer many people to go and visit, the food is always great, the prices are well worth the experiance, the decor is fantastic it makes you feel like your not at just a typical italian restaurant.The service was great and they made you feel special.What my quest really enjoyed was when the cook came out and was friendly and cared what we thought about the food, ive bin to alot of places and you never see that. The valentine's day dinner menu was great. The food was great and the service was fast. I recommend it. 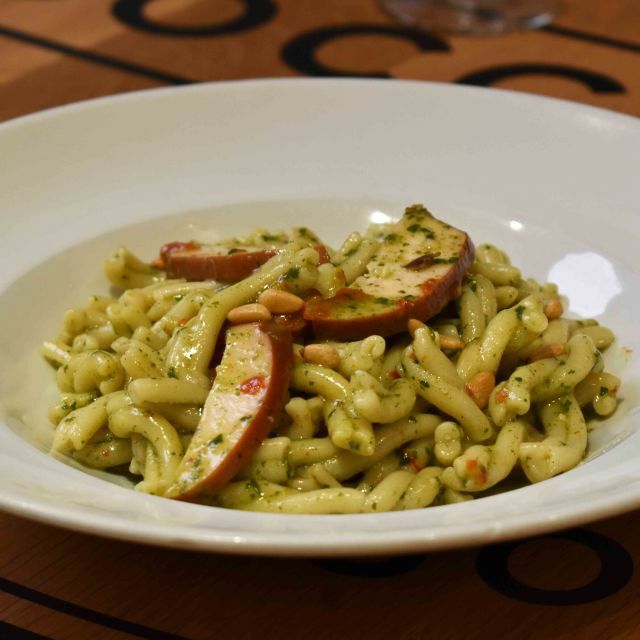 My wife and I consider dining at Boccaccio a delightful experience. We have been supporting and recommending it to friends for many years. We find Boccaccio a very elegant and confortable place; its ambiance is calming and warm and it suits one's spirit. 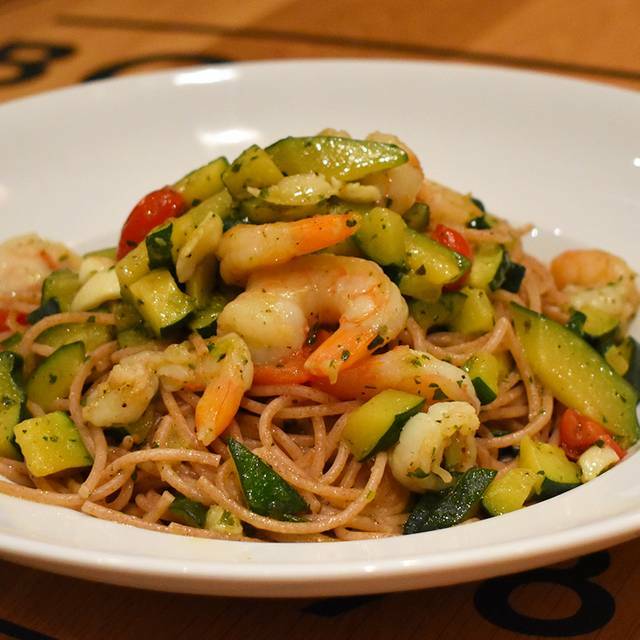 The food is always fresh, carefully prepared and tastefully presented and served. It is always of very good quality and therefore always good value. The staff is attentive, courteous and discreet. The culinary events that are regularly offered are joyous journeys which explore the depth and richness of the Italian culinary tradition. An excellent evening,with wonderful food, wine and great service. The friendly staff made the evening very enjoyable. My wife and I look forward to our next visit to Boccaccio with great anticipation.